Rosenblatt analyst Jun Zhang wrote in an investor note that Apple could cut iPhone production by four million units during the firm’s fiscal second quarter. While Apple’s previous reduction in production orders can be attributed to its optimism when predicting the handsets’ sales, Zhang writes that the new cuts will mostly be due to the turmoil Apple faces in China. At the start of the month, Huawei’s CFO, Meng Wanzhou, was arrested in Canada at the request of the United States for allegedly violating sanctions against Iran. According to Zhang, many Chinese companies are supporting Huawei by subsidizing employees who purchase devices from the company instead of iPhones. 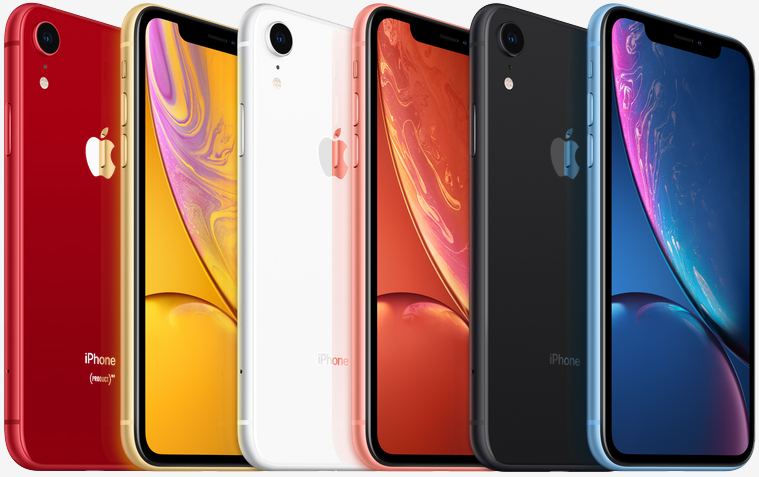 Zhang believes the iPhone XR will be most affected. The cheapest of Apple’s latest iPhones has reportedly already seen its production numbers cut by a third, and it will take another 2.5 million hit during the quarter. Some reviewers found the cheaper iPhone XR to be the most impressive of all three 2018 iPhones, but it seems many Apple fans aren’t convinced. The iPhone XS, meanwhile, may see its production cut by 1 million units, while the iPhone XS Max's could be dropped by 500,000. I'm curious to know if the drop in popularity is having to shell out $1,000 each new edition plus minimal "upgraded" features or if any of it is geo-political? Of course it could also be a marketing ploy to make them less available so they can further drive up the price in conjunction with the old "supply vs. demand" model? Reehahs, p51d007 and ShObiT like this. Eh, is Qualcomm Chinese now? Probably more to do with the PRICE than anything China did, or does. Who wants to shell out 1500 bucks, for a sideways upgrade phone, just to get the apple logo? AMERICAN product, over a CHINESE product? That's why Huawei is at the top of their market. toooooot and Reehahs like this. You would think they are afraid of joining Steve Jobs, if they ever slashed prices? The social media "credit score" is a myth. Repeating it often still doesn't make it anymore real. Huawei is doing pretty well in most markets. They have top hard- and software at convenient prices. If the US government has approved an economic sanction against iran, and you go do business with iran from your US business anyway, you are violating federal law. Not really that hard to understand. USA thinks, and not without grounds, that it has helped China greatly to get where china is today. Being able to stop or cut many things China benefits today, they have the right/ability to "ask" them to stop helping Iran. This is my interpretation of this story: You are working for some company where you are pretty good at what you do. And when you notice a young clueless fella, you decide to help him get promotion at your company. You are not doing this out of your selfless heart, you see his potential. But you also know that he might never get so successful without your help. Then, as this young fella gets strong and good at what he does, he sides with your least liked person at the company. You know that he is also far from selfless and gets something in return, but you also feel that the young fella got much more from you than your nemesis and therefore should be able to appreciate you enough to at least not help your enemies. To me this is what USA doing. They proclaimed that Iran shouldn't be helped, especially by the countries tightly involved in trade and technology with USA. After all, USA has much more power in the world than China. So if China wants to help Iran, they should first decide if their trade with USA more or less important. I dont think China would take Iran over USA. And USA knows this. Thats why they can arrest Huawei CEO. Most of what they owe, they owe to China. You may edit using forum mode. That is something Trump is trying to change. Please specify! I'm new here. I tried via "Forums->my posts", but it still won't let me. What difference does that make, if the changes benefit everyone under his leadership? BTW! If Trump was in it for the money, he wouldn't have become president. He currently makes no more than any other president before him. Are you six years old? You sound very naive. Trump has been making deals with countries (or rather: their corrupt leaders) on the basis that they filled his pockets. Basically, you got a clown willing to sell out your (and other) country for his personal profit. How do the people benefit from that?!? He's made tax cuts for the rich. They weren't the ones starving, you know... And guess who's gonna be paying for all that? Hint: It's not gonna be the rich! At the bottom of the article there is a link, "Jump to forum mode." However, I think there is a limited time during which you can edit your post. Not true now. When this software was first installed, time was limited, then editing was forbidden entirely, which was frankly, a disaster. Now, editing appears to be unlimited, (as I firmly believe it should be), since I have returned days later to repair a spelling or syntax error. I am however, always making my first post in forum mode, no exceptions. Now, editing appears to be unlimited, (as I firmly believe it should be), as I have returned days later to repair a spelling or syntax error. Thanks for the correction. As a moderator I have always had unlimited time to edit but I couldn't tell how it is for other members. @mailpup FWIW, I changed "as, to, "since" in the 2nd paragraph of my post #20 @ 4:12 PM EST, a 12+ hour delay, so the system is working as I specified. (Syntax correction, to avoid the redundancy of using "as" twice in the same sentence. I emboldened the change)..
IIRC, the limited editing, then no editing issue, was in conjunction with the permission of "guest" posts in our "Weekend Open Forum" feature. After guest posting was disallowed, the edit function was restored in full. I do know these events were in the same basic time frame, but I'm only half certain the actions were predicated on one another. I guess while I'm at it I should wish you and yours a very happy holliday! (You have, after all, put up with me for a bit over 12 years). @mailpupI guess while I'm at it I should wish you and yours a very happy holliday! Thank you very much. Merry Christmas and have a Happy New Year. xxLCxx and captaincranky like this. This is a myth. While yes we owe China a lot of debt its not the majority of it(6%). Add on the fact the whole world is in debt, China is on the downswing in growth, and Europe also has piling problems its not just the US.